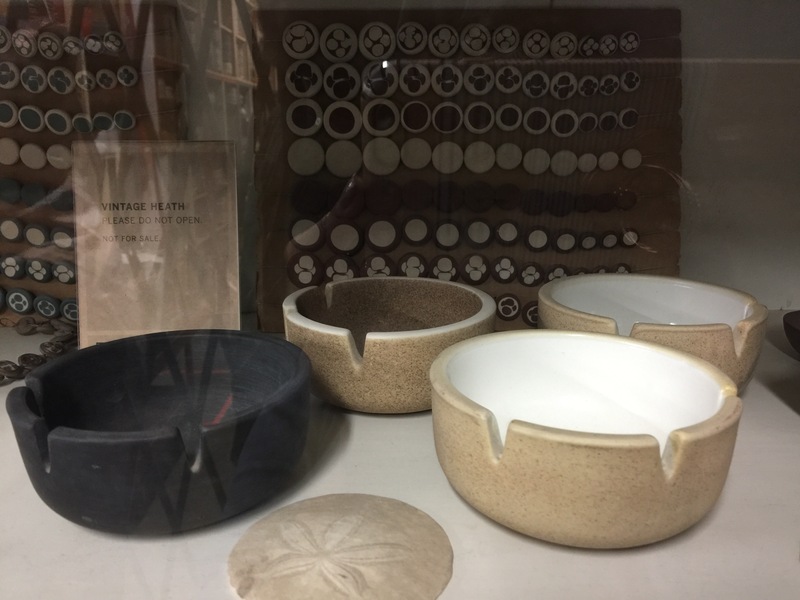 I went on the Heath Ceramics tour – so impressive and so inspiring! I have been a fan of Heath for some time and dream of having a complete Heath dining set one day. I love the simplicity and color palettes. Learning about the history of the company and seeing the entire process makes me even more appreciative of the craftsmanship that goes into each piece. Our tour guide shared the company’s origin story then took us around the factory, starting with the clay mixing room. The factory aims to be zero-waste; any scrap clay gets sent back upstream in the process. 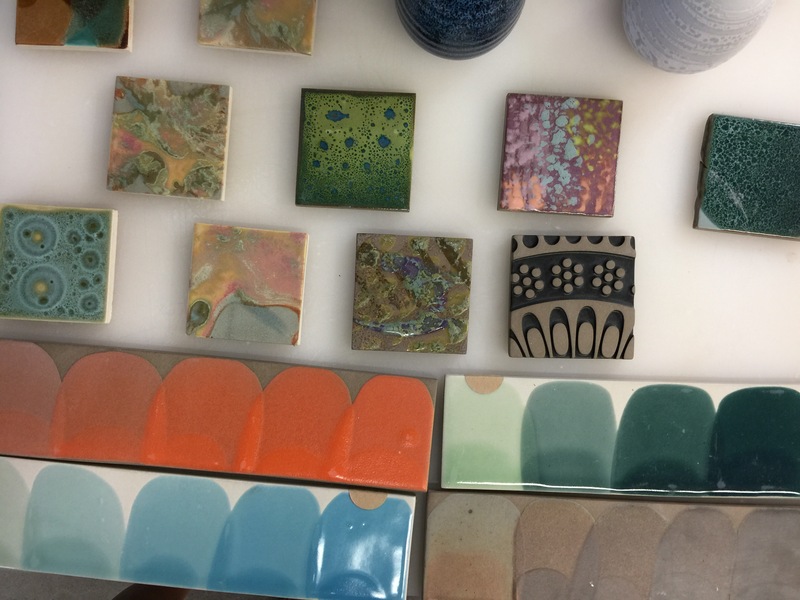 The pieces sit to cure, get sanded and glazed by experts, then hang out in the oven. All of the pieces get inspected and triaged into firsts (for sale! ), seconds (for sale on sale! ), and thirds (not for sale, but used for construction and other projects!). Heath began as a family business by a husband and wife duo Brian and Edith Heath who had a passion for handicraft and design. It is now owned by another husband and wife duo, but the niece of the original owners/founders still has a space in the factory where she creates and experiments with colors and patterns. We got to visit her station. The last stop of the tour is the case of Heath vintage pieces. Edith Heath set up the display case and it hasn’t been touched since. She created jewelry with some of the scrap clay (seen in the back). And, ashtrays were a bestseller back in the day. Very Mad Men. Then, we exited to the showroom where we drooled over everything in the shop. Huzzah for handmade and art and design! Next Postshop feature: rare bird.